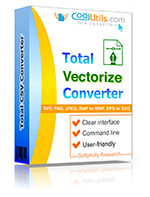 Total Vectorize is a powerful image to vector converter. 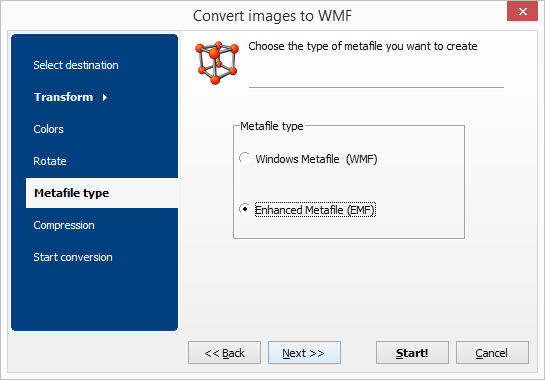 It helps you to convert images of all popular raster formats (TIFF, PNG, JPEG, BMP) to WMF, EPS or SVG. It's the easiest way to create EPS images from scanned files. 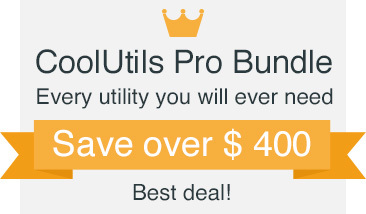 If you want to get a nicely looking EPS logo Total Vectorize is your choice. Total Vectorize can either rasterize one image or a batch of them. Batch mode is a life saver when you need to convert hundreds of images at a time. That is done by few clicks. Transparent interface and high efficiency will make you enjoy the process of converting. Along with conversion you can crop, rotate and resize your images in batch. You can choose background color or make it transparent. You can compress metafile data to save space. Total Vectorize may be run via user interface or from the command line to be launched from within other programs. It's a reliable solution that always produces perfect vector images. 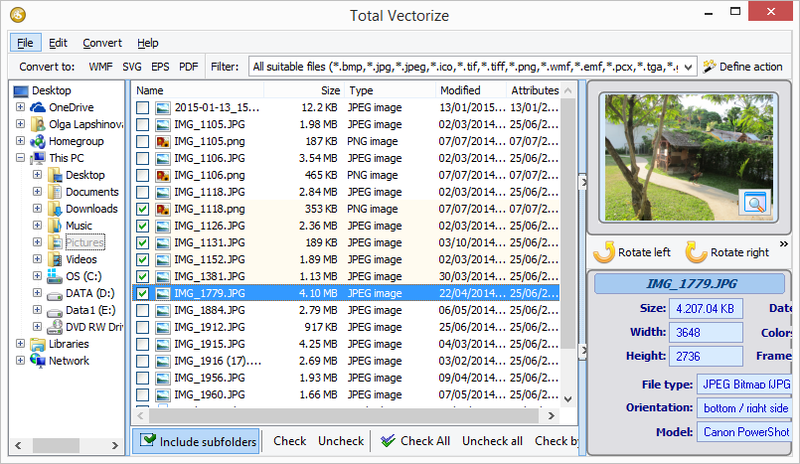 Total Vectorize is available as a free trial download valid for 30 days. Download it now to convert images to vector formats in 3 simple steps. "Total Vectorize matches my expectations completely. So far it converted more than 400 files and I have more files to be converted. The resulting EPS images look good and have a good quality for further work. Great job!" "I failed to convert a jpg to a vector emf using a file converter. All I got was an emf that contained the same bitmap as the jpg.Total Vectorize did the right thing, it drew the image and I am so happy with it. Thank you!"